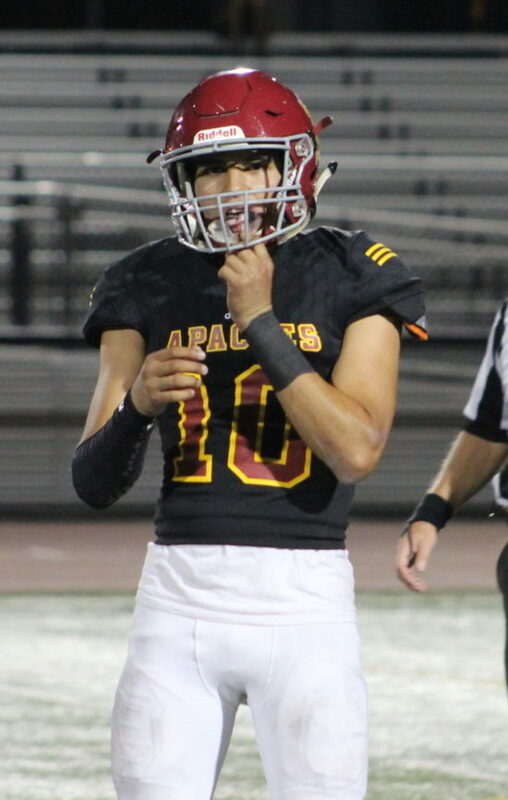 Dylan Guerra and the Arcadia Apaches are headed to the Division 8 CIF Finals. 4 Comments to "Mid Valley Scoreboard: CIF Semi-Final Edition"
Heard Damien High’s head coaches resigned? Any truth to the story? I hope we are able to fill the stands Friday night at Arcadia High School, would be great to see he community and alumni come out and support this group of fine young men and great coaches. In nuclear weapons parlance, a neutron bomb is supposed to kill only the people, leaving the infrastructure intact. That’s what the football situation feels like this morning. Almost everybody got beat, and the lines to turn-in equipment rival those at the DMV. One bright spot has appeared in Lakewood, where Artesia high has made the division 12 finals by beating Laguna Beach 48-6 in a game where Calpreps had Laguna favored to win 40-31. That’s the kind of Cinderella story you have to love in high school sports, the stories that are becoming more and more rare.